Landing in the sweltering summer heat at Delhi airport, filled with weary travellers and families from afar, the humidity is breathtaking and suffocating. Escaping the congestion, to the warm plains of Bagdogra and finally winding through 90km of farmland and into the mountains, the cold Himalayan lands of West Bengal fill the landscape. 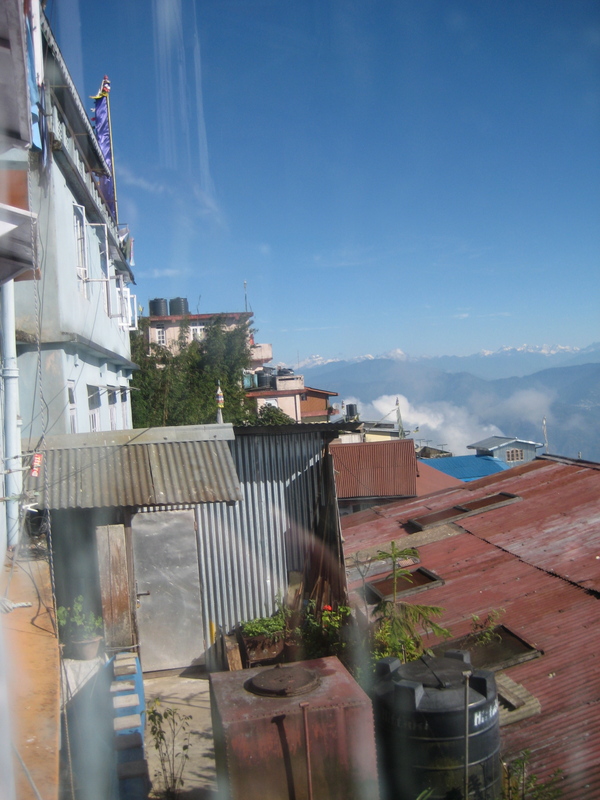 Arriving in Darjeeling after 12 hours is a reminder of the vast size and landscapes of India. Darjeeling in the north west of West Bengal, India, is nestled into the foothills of Mt Kanchengiunga at the base of the Himalayan region. The area became a holiday destination during British colonisation as a place to seek refuge from the heat in lower lying areas of the country. With many British visiting several times a year, and thanks to the temperate climate, Darjeeling quickly became a hub for tea cultivation, with the creation of many namesake hill stations, providing large quantities of tea to Britain and her colonies. Soon followed the development of the quintessential colonial landmark; the railways and Darjeeling was thrust into a new age. Despite these British development and infrastructure, the area was impoverished and home to more than 10 different ethnics groups including Nepalese, Bengali, Bangladeshi, Tibetan, Indian and prominently Gorka populations. 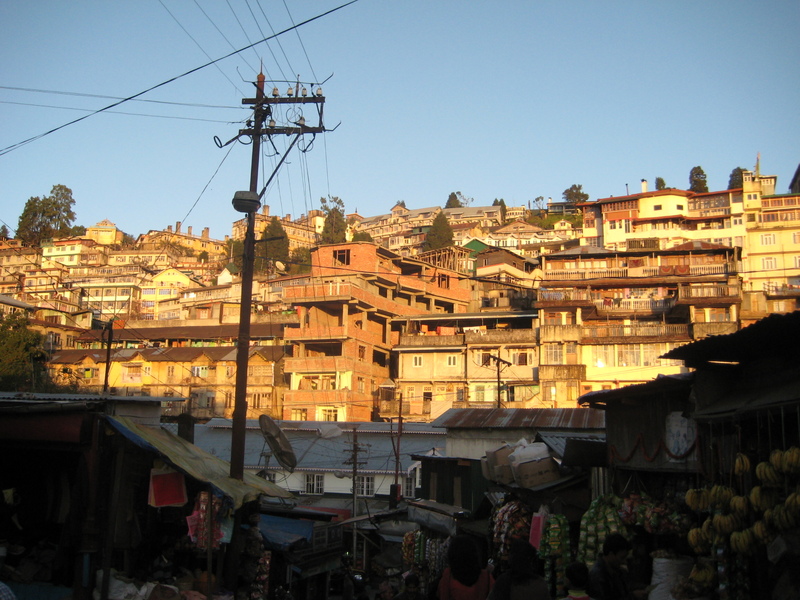 A place of refuge for many minority groups in the wider Himalayan area, the metropolis makes up one of the largest areas of need in the country still today. Many children are abandoned, whole families wander the streets in a state of homelessness and businesses are constantly closed due to political protests and unpredictable weather. Education is low and with many of the roads in and out of the town, closed for any number of reasons for months at a time. Fresh food and news fails to get in or out. These difficulties, however; have not stopped travellers in their tracks with large numbers making the pilgrimage from all over the world every year. At times, it is difficult to enter and many are sent packing back to Bagdogra or left without a place to stay or somewhere to eat in town. The locals are welcoming in everyway and will make space in their own living rooms to accommodate a stranded soul. At its peak, there are an unforgiving number of things to do, see and achieve in Darj. Food in Darjeeling is above and beyond the centre of focus for all locals. With vast market spaces and street stalls winding up the narrow, mountainous laneways serving sweets, curries and curry puff snacks, you’re sure to be full all day long. There are also many dive bars that are legitimately quite scary for females but completely harmless. For a quick pint or tea infused rum, they are a cultural hotspot and insight into local life. At the very centre of town at the bottom end of Nehru Road is the Indian restaurant and bar. Serving hot, hot and hotter curry than anywhere else, this 1960s style hotel lobby turned restaurant bar with yellow curtains (perhaps once white) and green exterior better fit for the Swiz Alps, will not disappoint. From 5pm – 7pm everyday, the bar serves half price drinks particularly their favourite Old Monk spiced rum and preferably served over ice. This British café oozes cotton plantation with its large cake service area, wicker chair patio dining space and Harrods inspired dining room. Overlooking the vast mountain landscape, Glenary’s is a lovely place to spend a cold afternoon eating cakes and drinking tea. Whilst they do offer traditional Indian curries and sweets, it is one of the few places to take a break from curry and rice. This tiny family café up the hill on Dr Zakir Hussain Road is quite frankly the best place to eat in Darjeeling. With help from her husband, Puran, Sonam who lives upstairs rises early every morning to serve mostly hungry travellers their breakfast. 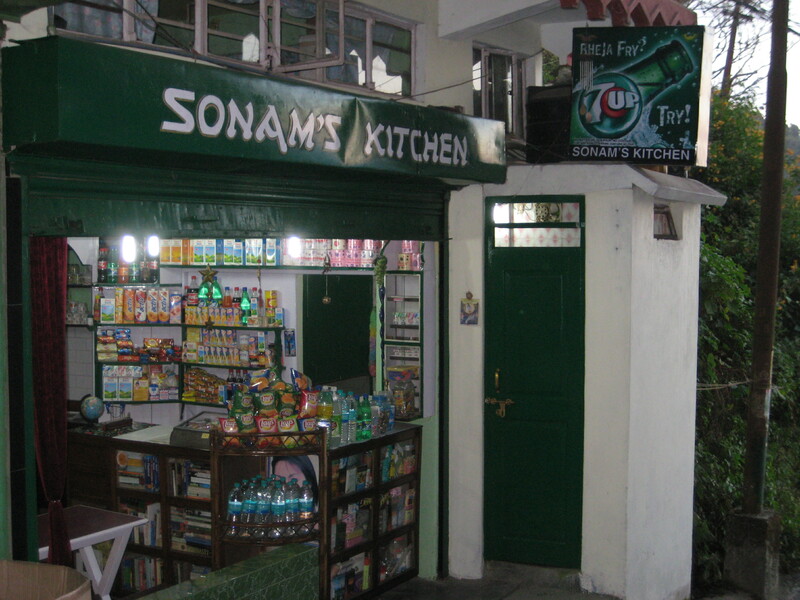 Whilst it is not the cheapest place in town, Sonam serves REAL coffee, western style food like mash potatoes with an Indian twist and lots of eggs. The café is homely and friendly and a place of many visiting intellectuals. You can borrow books; ask for local travel suggestions of just chat. Perched on the hillside, Darjeeling is filled with many nooks and crannies to keep you busy hiking from one spot to the next. The area is home to many spiritual places that are places of worship; for the spirit and the view. 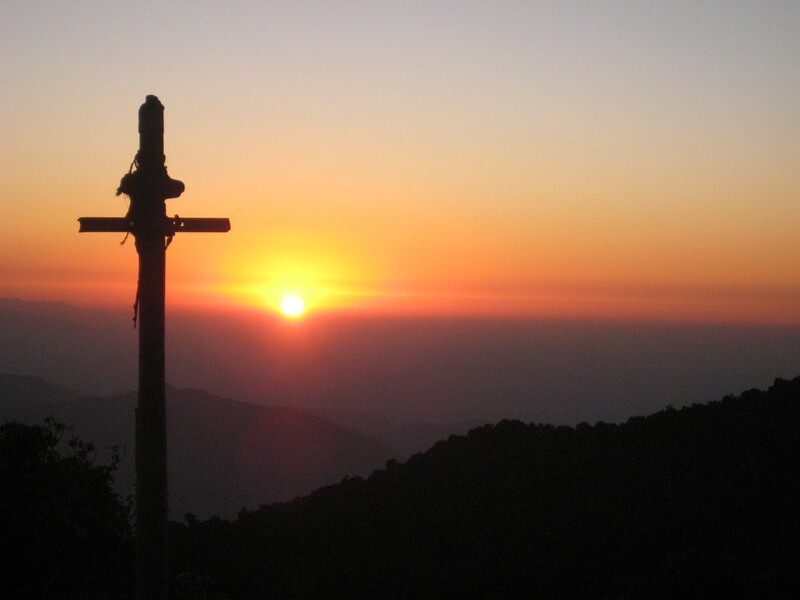 Atop many of the smaller mountains around Darjeeling lay temples, gardens and beautiful observation decks. It is difficult to visit Darjeeling and avoid the blatant signs of the British era and the Ghum junction certainly is no exception. The junction was used as a vital transfer point for much of the Darjeeling tea production and upon completion allowed people to move in and out of the ranges via train for the first time. Several Hindu, Tibetan and Buddhist monasteries that are free to enter surround the junction. Well worth getting up at 4am for a sunrise hike, Tiger Hill is about 40 minutes vertical walk up and out of town to the summit 8364 Ft / 2550 Mts. As the sun rises, it is easy to see the historic landscape and skyline of the Himalayan region and on clear mornings you can see the tip of Everest. Be prepared for icy and unstable conditions, whilst the climb is relatively safe, it is very dark and unstable footing plus, the cool, windy air is dynamite without hats, gloves and scarves! The largest place for worship for the Hindu population, the observatory at Chowrasta is the oldest monastery in Darjeeling. Originally built in the 1700s, the structure today had it’s last renovation in the early 1930s. 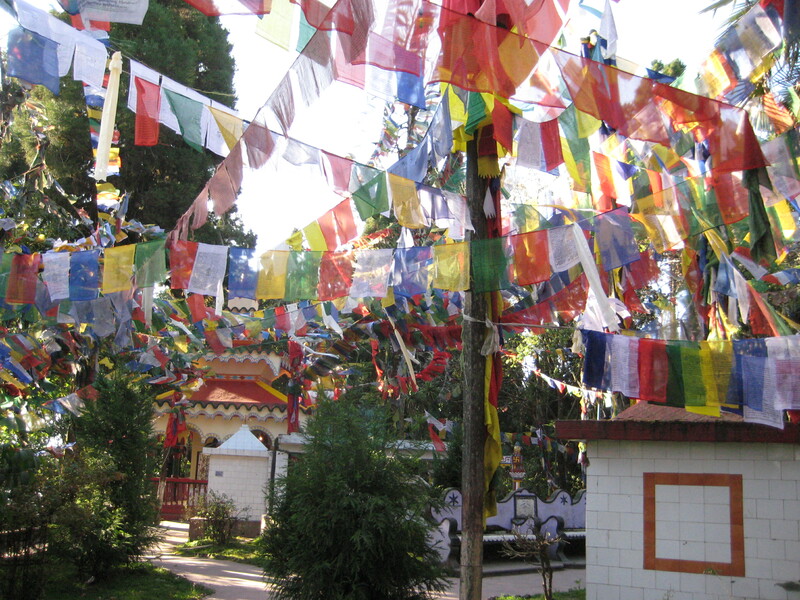 The constant flutter of prayer flags packed onto the site, strewn across rooftops, trees and structure creates a sense of calm and comfort as many worshipers walk or sit around the temple. As an area with vast social, economic and political pressures, Darjeeling has many ways travellers can give back to the community that are enjoyable, rewarding and free. The centre on the outskirts of town, about a 40 minute mountainous walk, is home to many Tibetans and some other displaced people from around the area. Whilst the centre if functional as a home for many, to earn income, craft workshops, henna artists, and is a place where you can buy traditional handmade crafts and artwork. There is also a kindergarten and school classes run on site where staff welcome volunteers. Whether you’re a limber soul or lack serious flexibility, a yoga class in India is unlike you’re everyday yoga experience. Taught by well respected instructors within the community, many of the community halls and even teacher’s living rooms are used day and night for meditation and yoga. Don’t plan to climb Tiger Hill the following day, you’re bound to be stiff and sore and will require necessary recovery. With many young local children and children from over the boarder in Nepal living in Darjeeling, there is an influx of schools, orphanages and special need centres that are extremely under resourced. You can plan to volunteer prior to your visit however, it is easy to establish a relationship with a school or orphanage upon arrival. Many of the children carry scabies and lice but wear your old clothes and bring some visual cues such as balls and games to play. The girls at the girls orphanage love sunglasses and nail polish. Staff allow volunteers behind their heavily guarded gates to come and help out, to chat to the girls and help them with their English.